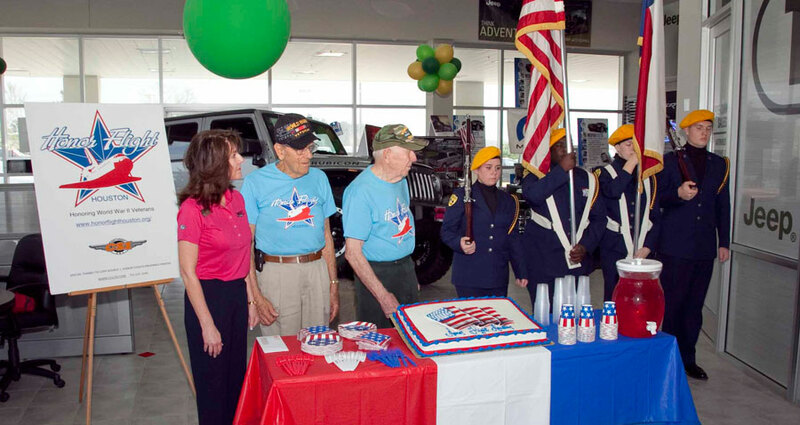 Kilroy’s Krew is a volunteer organization whose mission is to recognize and honor our WWII veterans for their sacrifices and achievements. 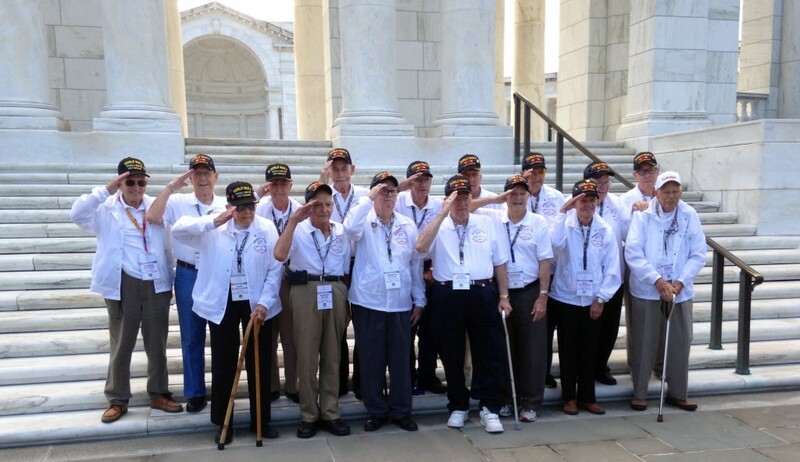 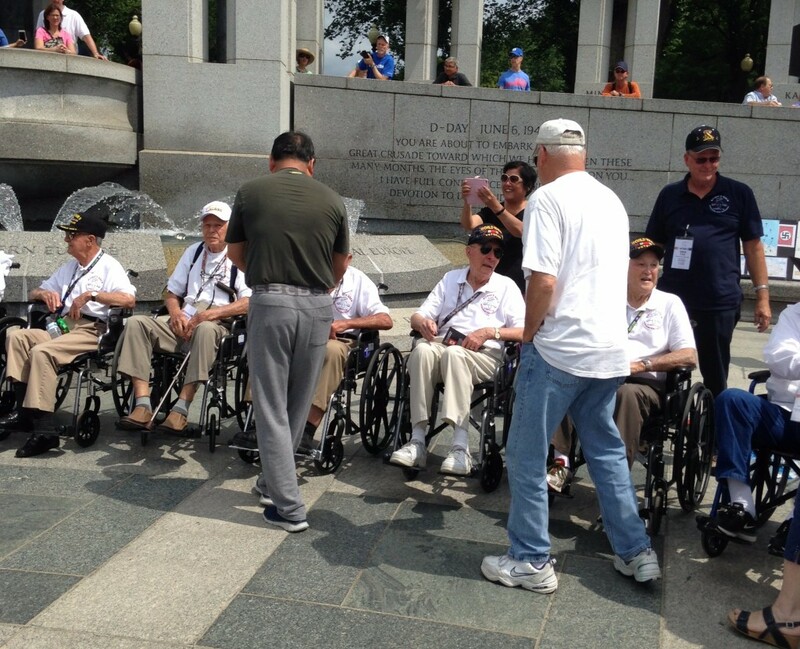 They are recognizing them by taking as many veterans as possible to Washington, DC to see the World War II Memorial that was built in their honor. 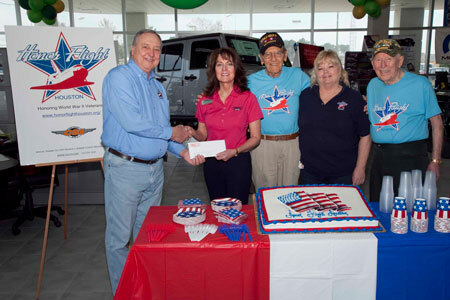 On Saturday, March 22, Tomball Ford and Tomball Dodge presented checks to the Klein Oak High School Air Force ROTC Color Guard and Honor Flight Houston. 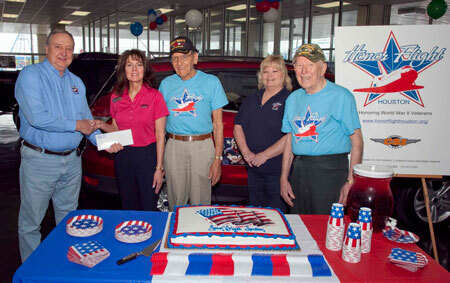 $500 was given to the Klein Oak High School Air Force ROTC Color Guard and $1,000 to Honor Flight Houston. 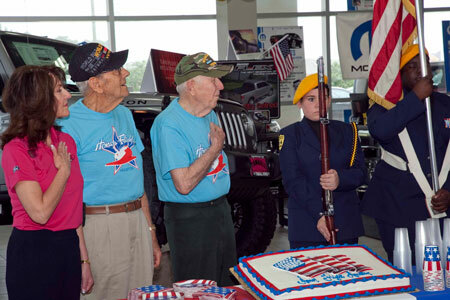 The Klein Oak High School Air Force ROTC Color Guard is an award-winning assembly of cadets, which presents the nation’s colors during the national anthem at events, as well as taking on other responsibilities. 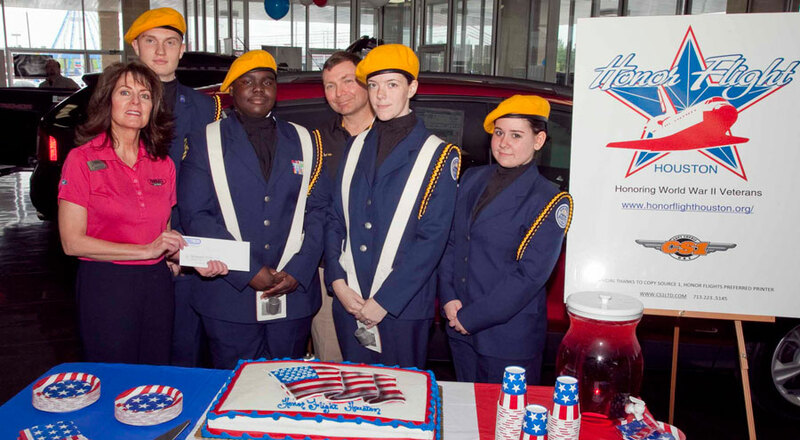 These cadets serve the community by marching in local parades, retiring American flags, and laying memorial wreaths on veterans’ graves at the veterans’ cemetery. 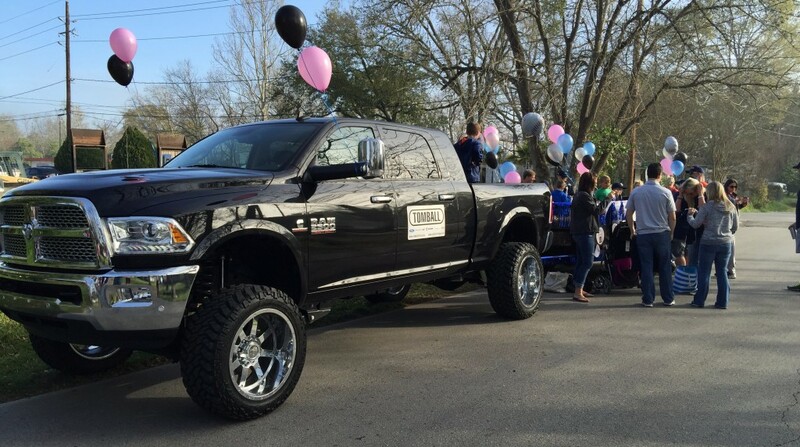 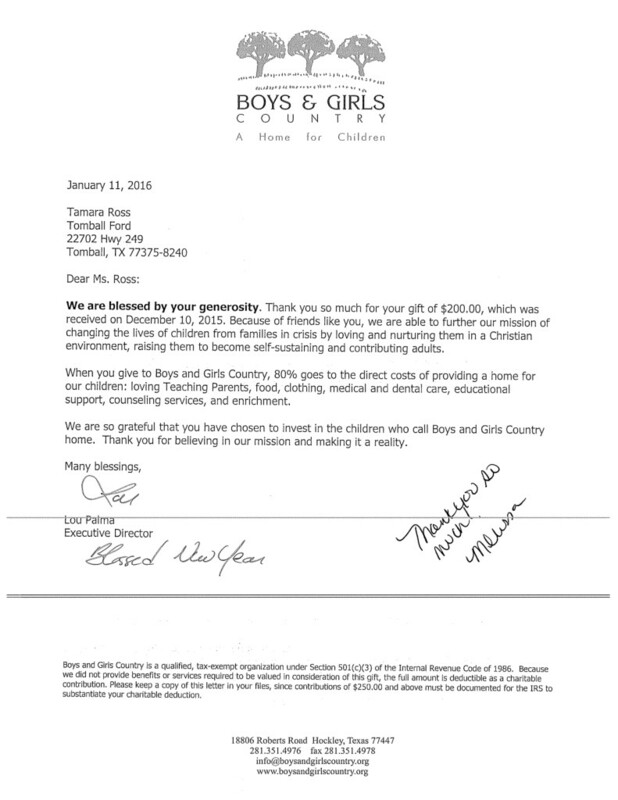 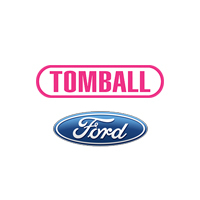 Tomball Dodge and Tomball Ford want to contribute to support and build such young people. 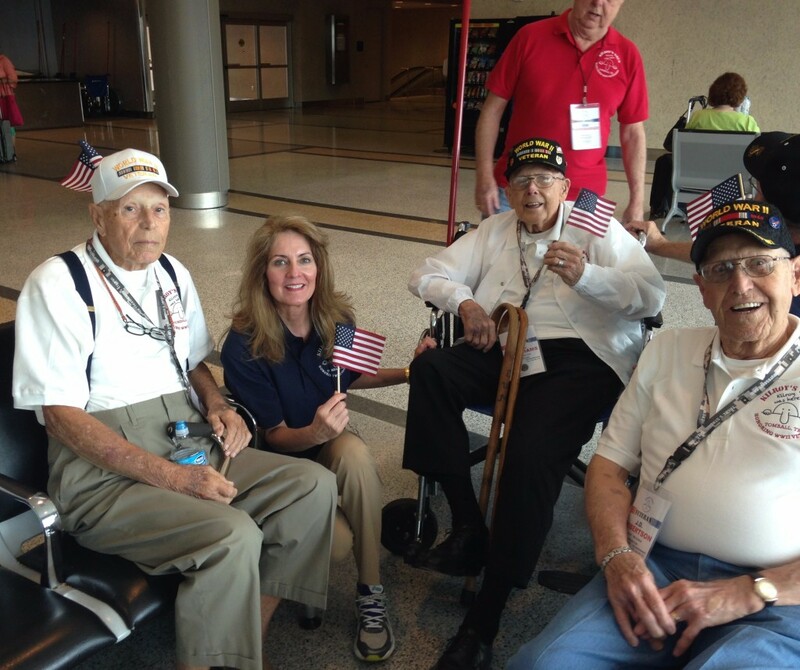 Honor Flight Houston is a non-profit organization and a member of the Honor Flight Network, which was created to honor America’s veterans. 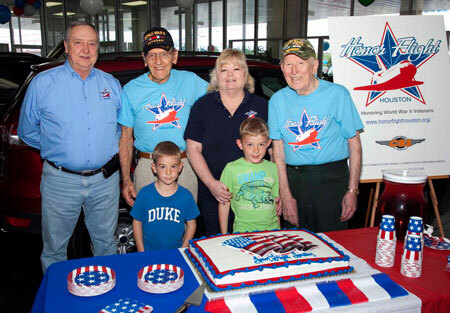 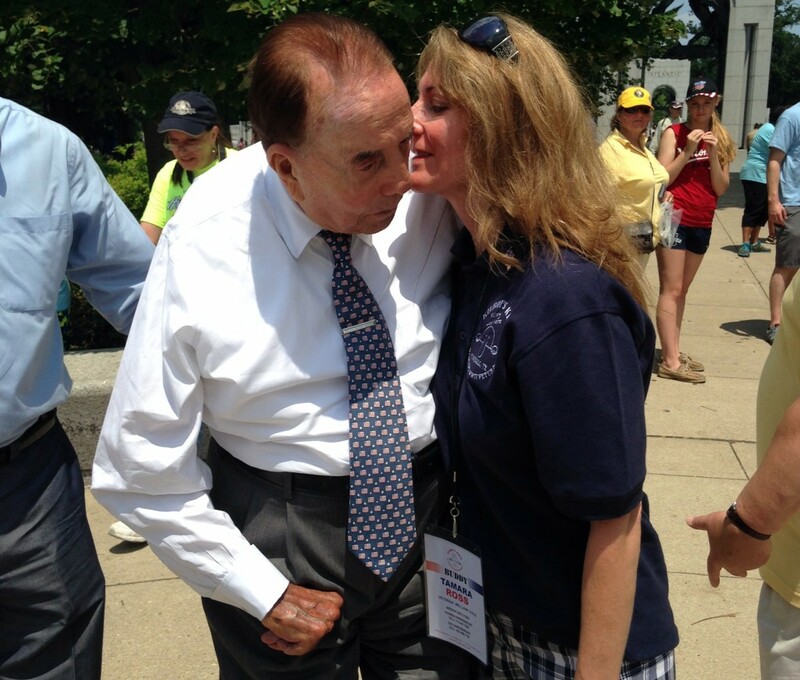 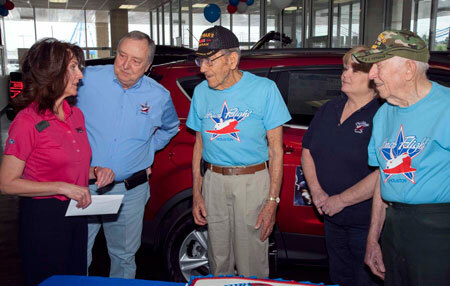 The Tomball Dodge and Tomball Ford contribution will help send a veteran to Washington, D.C., to allow them to view the World War II Memorial, as well as acknowledging the dealerships appreciation for their service. 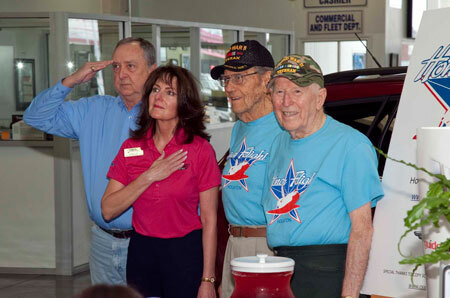 Pictured above is the Color Guard, as well as Edd Harshbarger, Honor Flight Houston chairman; Tamara Ross, Tomball Ford; Cliff Currin, WWII veteran; and Andy Ferguson, WWII veteran. 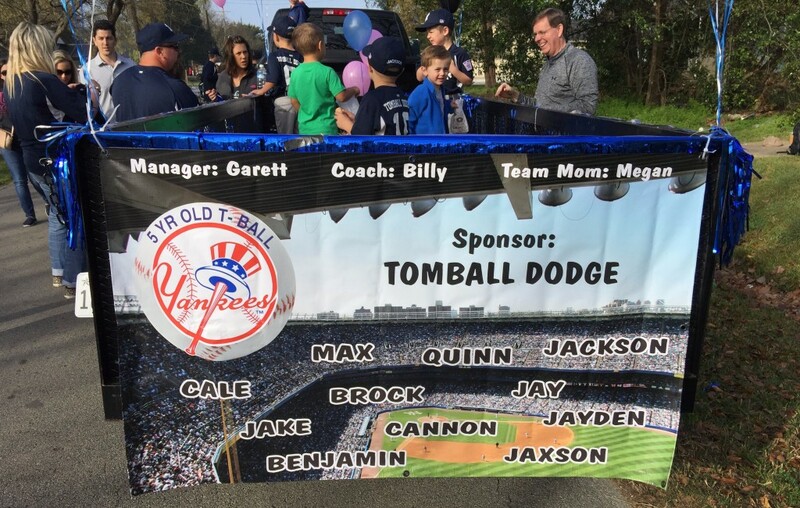 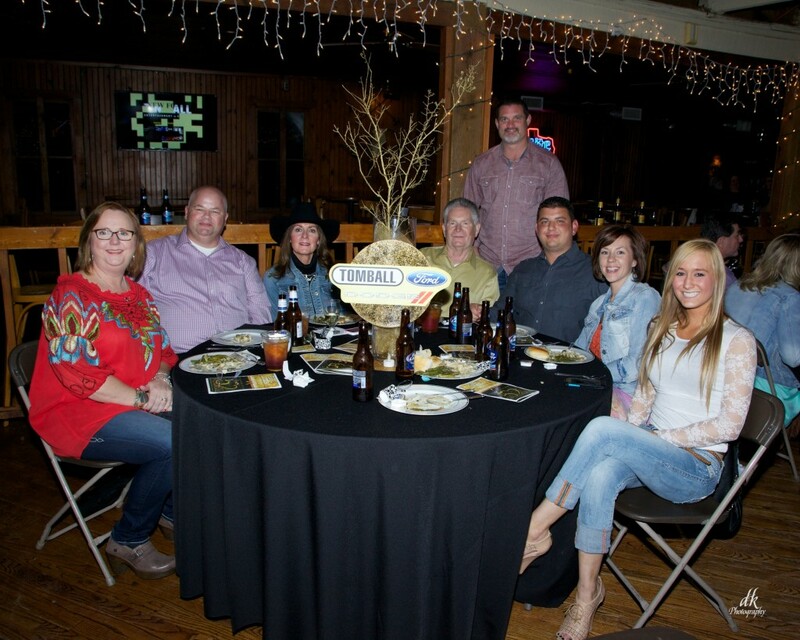 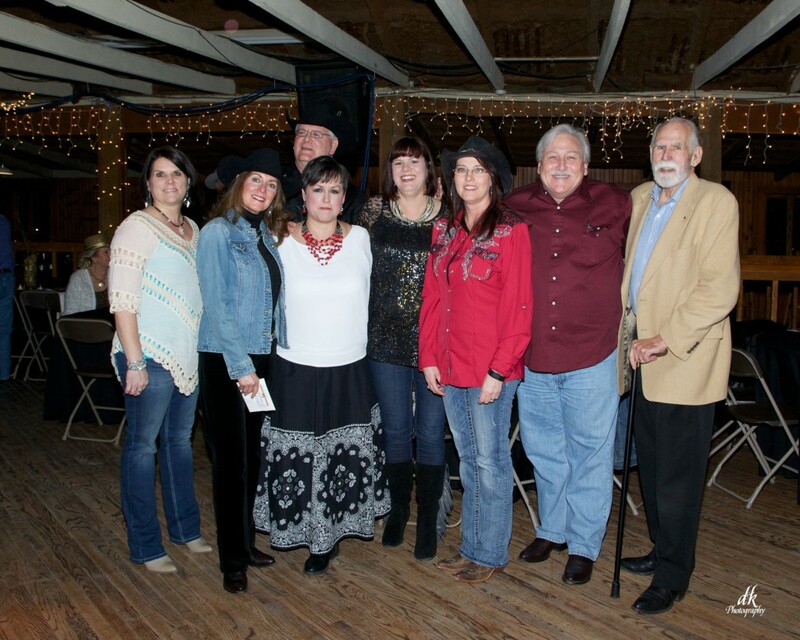 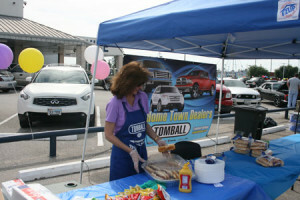 Fundraiser Hosted by Windwood Presbyterian Church to support the charities of Tomball Ford and Tomball Dodge loyal customers. 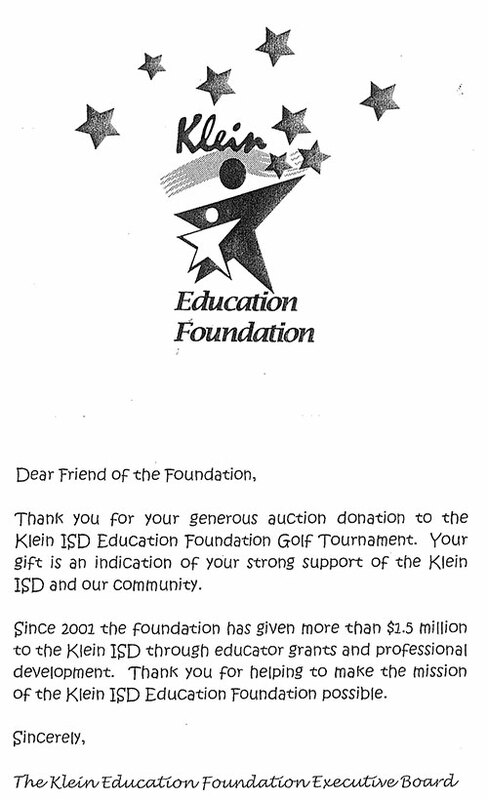 Resulting in over $2000.00 raised for charity. 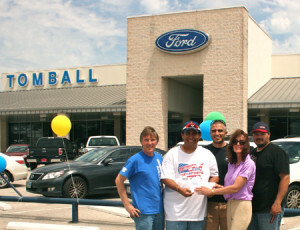 Tomball Ford raised $1,580.00 for VETSports Houston during our VETSports Car Show on April 13th. 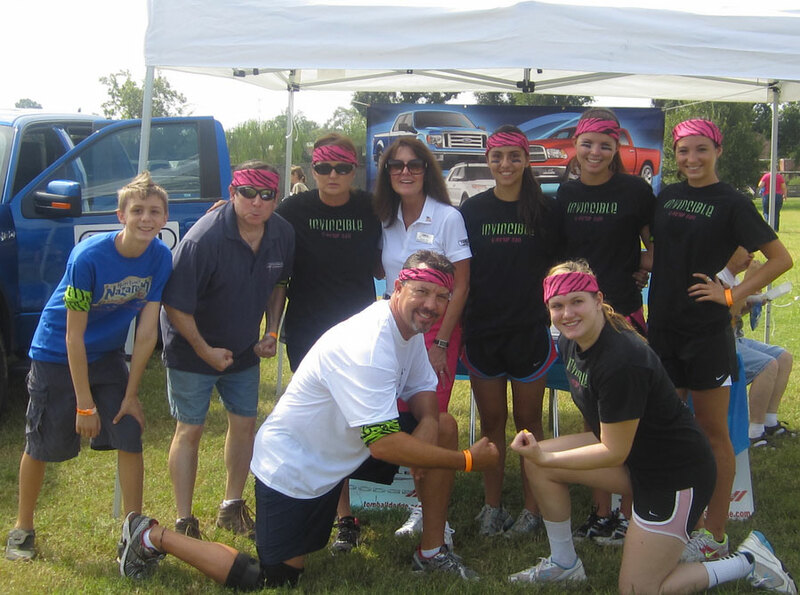 If you would like us to sponsor your next event, please feel free to reach out to us today.